Hello everyone! First of all, if you're any kind of Star Wars fan, happy "Force Friday"! That was part of the reason why I wasn't able to get a blog post up last night, since I went right from work to wait in line at Toys R Us for the new The Last Jedi toys. Sorry about that! 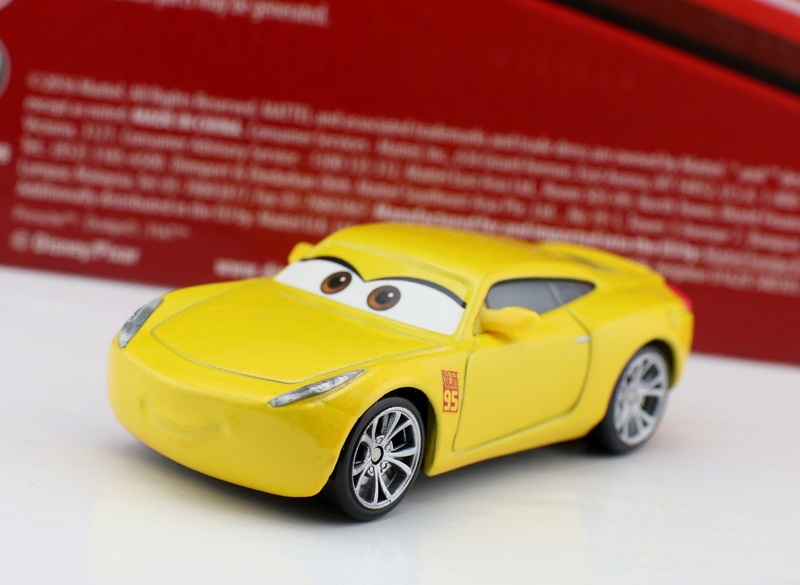 I'm back though and ready to review some more Cars 3 diecasts. 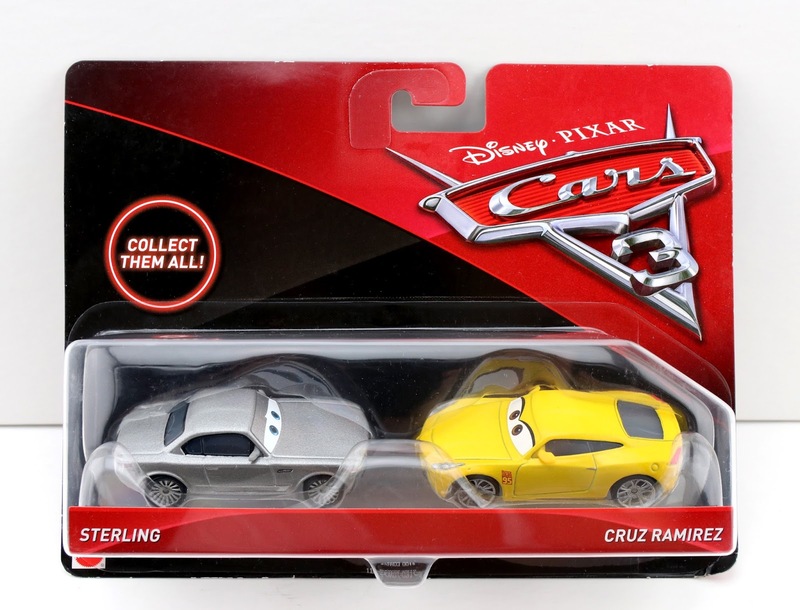 For today's post I'm taking a look at this Mattel Cars 3 1:55 scale diecast 2-pack featuring two very important characters from the film: Sterling and Cruz Ramirez! This pack (as well as single carded versions of both of these characters) was released clear back on May 1st. As of this point, neither of these characters have been released in any kind of larger multi-pack, but I'm sure that'll change down the road. These two are pretty basic in their designs (so there isn't too much to dig into, especially if you've seen the film and know these characters), but the diecasts themselves are nicely done regardless; solid sculpts, expressions and paint application! This pack, as well as the single carded figures of Sterling and Cruz, are still very easy to find at retail (at least in my area). 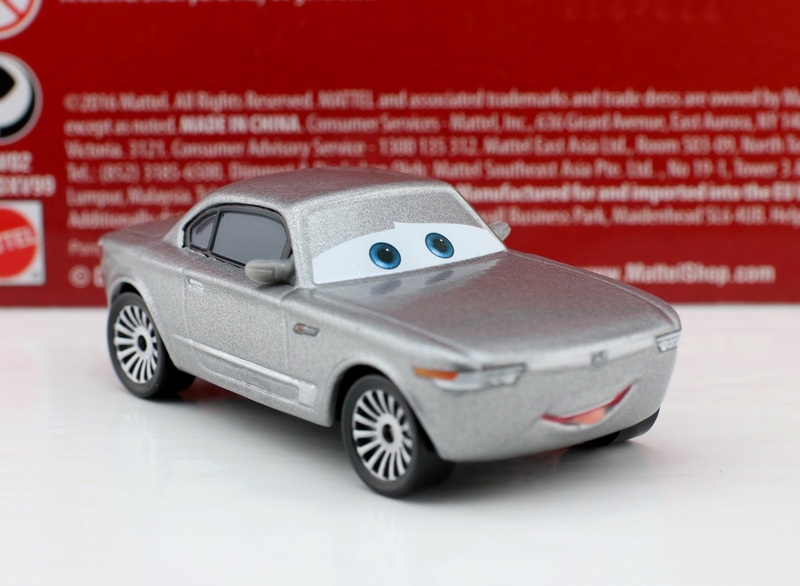 Head to your local Walmart, Target, Toys R Us, etc. if you're still looking to add these to to your collection! As usual, if you'd rather just pick this up online, I've included a direct Amazon link below. What are your thoughts? Any additional insights you might have about this set can be posted in the comment section below.